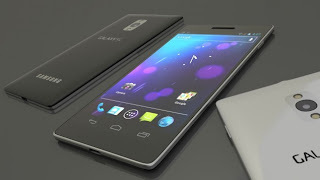 SAMSUNG GALAXY S IV To arrive in April 2013 ?? Excited about the yet-to-come Samsung Galaxy S IV?? We are tipped with another exciting rumor about the device. Samsung is indeed real good with developing unbreakable screens, as OLED panels can replace glass substrate with plastic material. Also, the Galaxy S4 will come with a bigger & much better 441 PPI display, quad-core processor, 13-megapixel camera, and Jelly Bean Android 4.2. Woah, that is GREAT.. Right?? This is all we could get. Samsung refused to comment anymore over the same. So, we need to wait a bit more to know more. 0 Respones to "SAMSUNG GALAXY S IV To arrive in April 2013 ??"